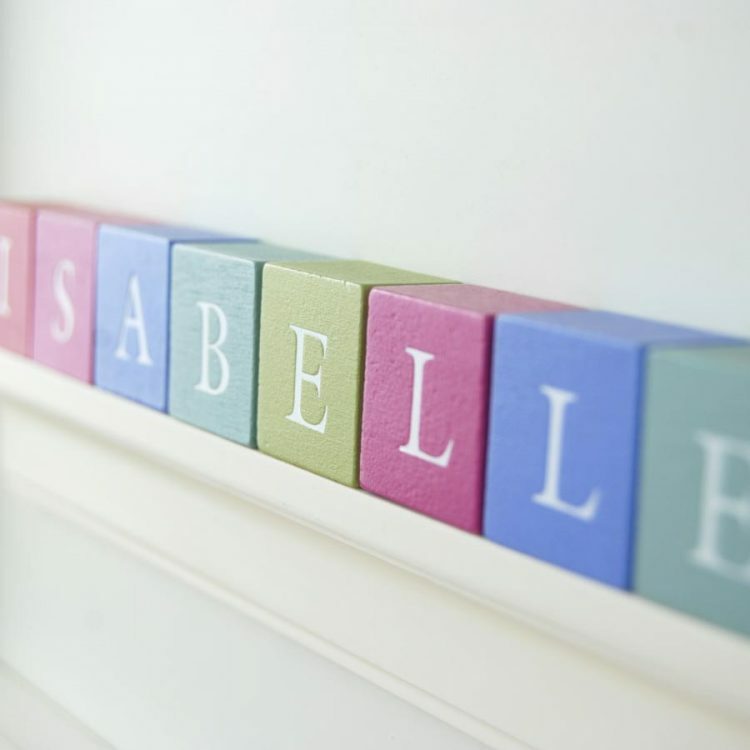 Feature your child’s name in beautiful miniature pastel ABC blocks. You can create any name up to ten letters or a double name of nine letters with one space. This piece will make a wonderful baby gift, naming day gift, Christening or birthday gift for a special girl. 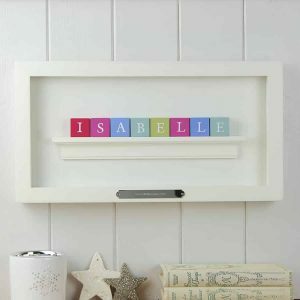 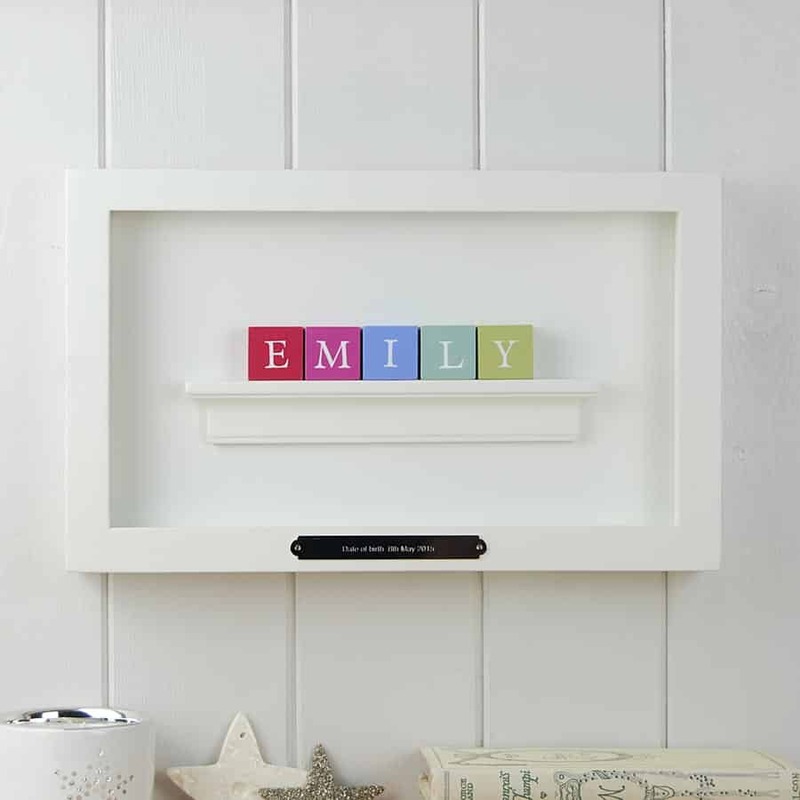 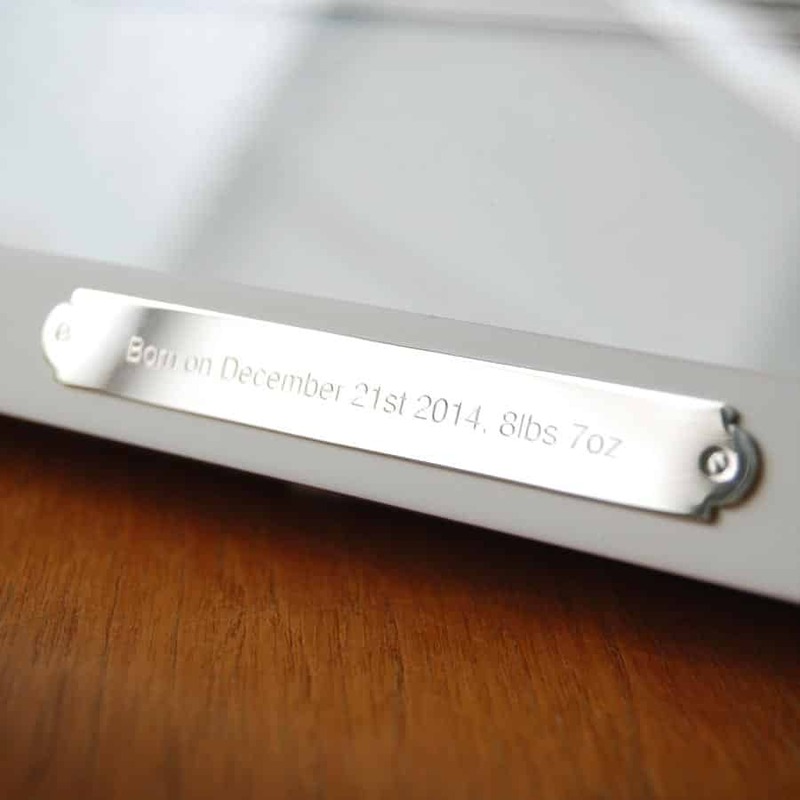 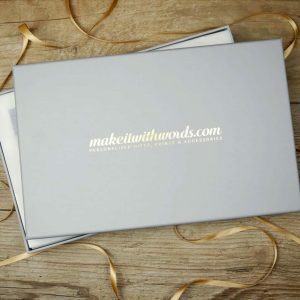 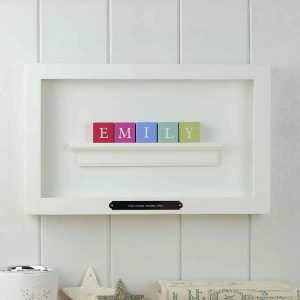 These miniature alphabet blocks are mounted in a matt white frame and can be personalised further by adding the date of birth, Christening date or any wording of your choice to the engraved plaque which is attached to the front of the frame.